As I am studying children's literature, and also because I seem to have spent a lot of time reading to my niece and nephew of late, I thought I'd share with you some of my favourite childhood books. Carrie's War by Nina Bawden - I have read this numerous times as an adult and a child and it never fails to captiviate me. Despite being for children, Bawden writes with a depth of expression that captures adults and children alike. It's the story of Carrie and her brother who are evacuated from London to Wales in World War II. Unhappy in their new residence they spend time with fellow evacuee Albert at Druids Bottom Farm where adventures and stories are ample, and the reader can be enchanted by the mysteries world of Hepzibah Green and Mister Jonny. Enid Blyton - It's impossible for me to reduce this label to any particular books as I devoured and loved virtually all of them. Whatever criticism she may recieve today about her sexism, or political incorrectness, as a child she provided dozens of magical worlds, each as enchanting as the last. 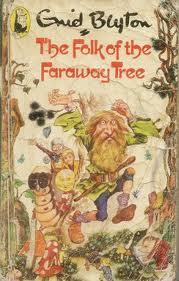 Particular favourites included The Faraway Tree collection, and the Twins at Mallory Towers series. Tiger Eyes by Judy Blume - I distinctly remember the day at the library when I picked this up. There was a particularly poor selection of books that day, and I'd read almost all the ones of interest, so I picked this up on the off chance it might be half decent. Little did I realise that this book would lead to a fascination with all of her books. Though the tragic loss of someone we love the most is at the heart of the story, perhaps of not today is that violent crime is too. 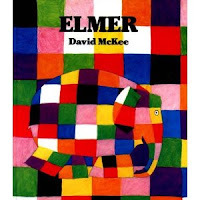 Elmer the Patchwork Elephant by David McKee - What could be more enjoyable than reading a little story about patchwork elephant. In this case a picture really is worth a thousand words as the illustrations in this book held a hundred other potential stories differing to that told by the printed text. I love remembering and rediscovering old favourites. I was recently reminded of the story of The Indian in the Cupboard, which my teacher in Primary school read to us at the end of each day. I only vaguely remember the story, but I vividly recollect loving every minute of listening to it. I really must hunt it out and reread it. 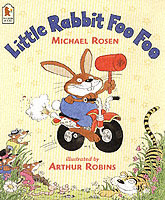 What were your favourite childhood books? A trip down memory lane is always a good feeling, when discussing childhood reading isn't it? I was also a complete Enid Blyton addict and just about anything else I could get my hands on. I can remember reading 'The Water Babies' by Charles Kingsley, 'Black Beauty' by Anna Sewell and 'Little Women' by Louisa May Alcott, over and over again. The highlight of any week, was my Saturday trip to the library, the only trouble was, that in those days, you could never borrow enough books to last the whole week. I used to love trips to the library, still do actually. The limit at my library was ten books, so I used to take ten then get mum to take a load out on her card too!